Back home and big reality checks for worth and Gates. Worth should have gone back to work but instead suffered the worst bout of pain he has had since he had a bad turn on Christmas Day. His bowels had blocked and he spent the day and night writhing in agony until they could unblock them. In between holding his hand and tending to Worth, Gates did her chores including fetching fresh spring water from the nearby Spring. 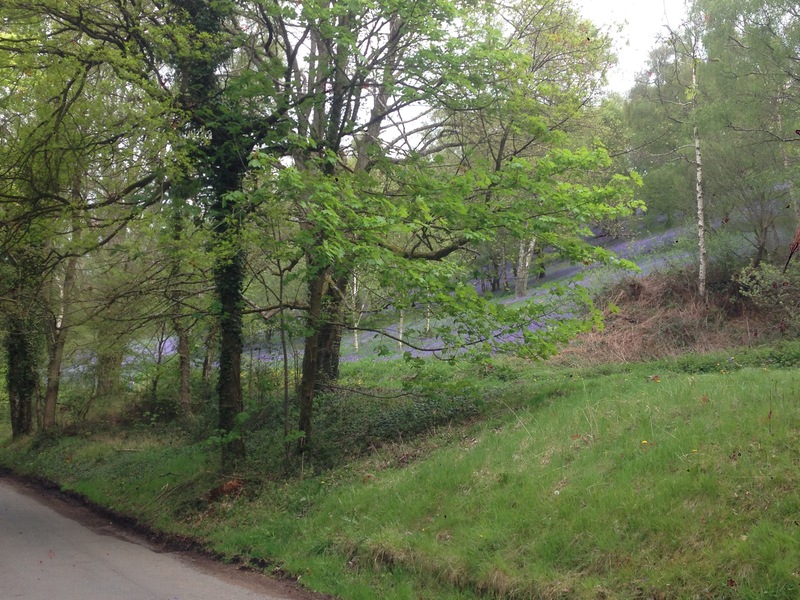 While there she grabbed this snap of the bluebells. Worth is on the mend and hopes to be sorted by Thursday. So sorry to hear this. Hope you are on the mend…..and quickly! Thanks Lois. I’m getting there just need to eat now but don’t seem to fancy anything.